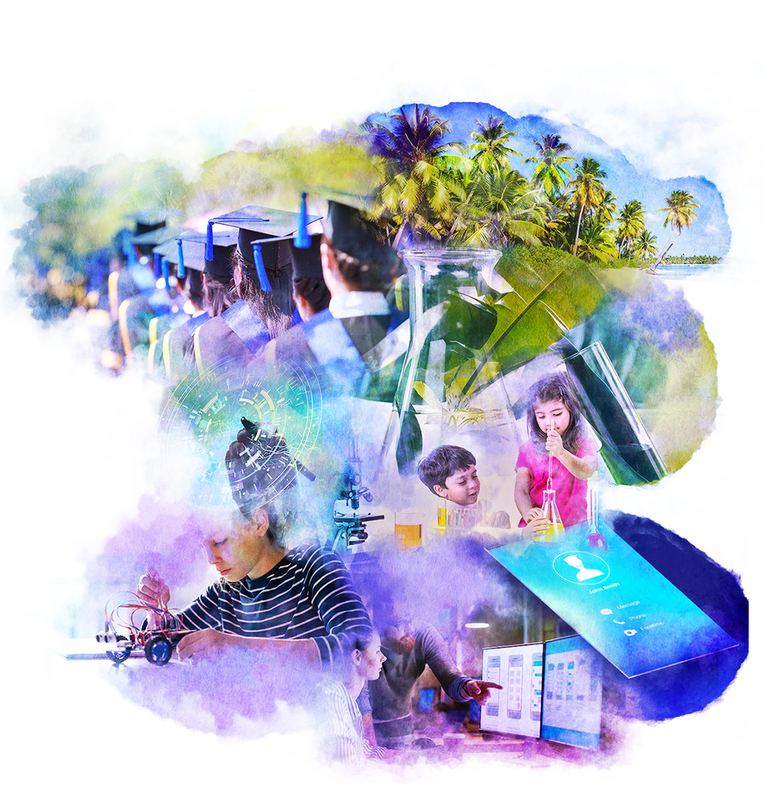 Modernization of the education sector in Maldives under President Yameen's PPM government has seen the digitization of education through which, quality education is delivered to all. President Yameen’s PPM government, under the "no child left behind" policy, will focus not only on achieving grades at exams but to provide a well-rounded education to all, with a curriculum designed to suit future careers, meet the needs of future industries and the needs of employers. This administration will use modern technology in education to meet the challenges of present-day and the future, deliver education based on children’s innate skills and aptitudes and build a diversified workforce to deliver economic growth that will bring prosperity to all. We will double the number of scholarships offered by the government. We will offer scholarships annually for non-academic youth to train in vocation and technical fields. We will create a revolving fund to offer student loans to study abroad without the need to mortgage property. We will include digital literacy and good digital citizenship as part of the national curriculum to build a tech savvy, responsible generation for the future and ensure the protection of children from harmful practices and exploitation online, retaining their privacy and integrity. We will introduce a highly focused science, technology, engineering and mathematics (STEM) education curriculum to build a future ready generation that will contribute to the vision of national development. We will train the next generation of app developers and coders through highly focused IT content in the national curriculum. We will invest MVR 100 million towards the development of an education resource network targeted towards the development of interactive content that would complement the digitization initiative, 'BeYond', opening new job opportunities for the youth in the field of creative areas such as arts and design and software development. We will close the gap in provision of education across the country by investing in learning management systems capable of connecting all schools, teachers and students across the country offering equal opportunity to share resources on the same platform. We will offer FREE tuition across the country, through the use of modern technology, that includes big data analysis, artificial intelligence that monitors the performance of individual students, and adaptive analytics that offer each individual student a customized program of study based on the child’s weaknesses, aptitudes and learning styles. We will enhance STEM education with discovery centres and science parks accessible to all students across the country. We will invest in developing high-end learning resources for mobile tablets, provided to all students under 'BeYond', including e-books, augmented reality and VR, to help improve quality of learning and teaching. We will make teaching among the most highly valued professions in the country, by the provision of high-level training for teachers to raise their standards to meet the needs of the modern curriculum and the use of modern technology in teaching. We will create a mechanism that will bring industry and education providers together to offer education and guarantee employment for those trained. The 'HiRed' program ensures that those who join the higher education program are assured of being hired at the end of their training. We will introduce a Student Card under which the student will be entitled for discounts on all domestic air travel and public transport. We will waive administrative fees currently charged for student loan schemes.